We have received sad news that Joanne Shenandoah needs a liver transplant. The Grammy award winner singer with the beautiful voice is in need of immediate help to save her life. Joanne and her family struggled to preserve the traditional governance of the Clan Mothers at the Oneida Nation in New York. However the Shenandoah family was abused by the Oneida politicians. In the end, the casino industry took control. 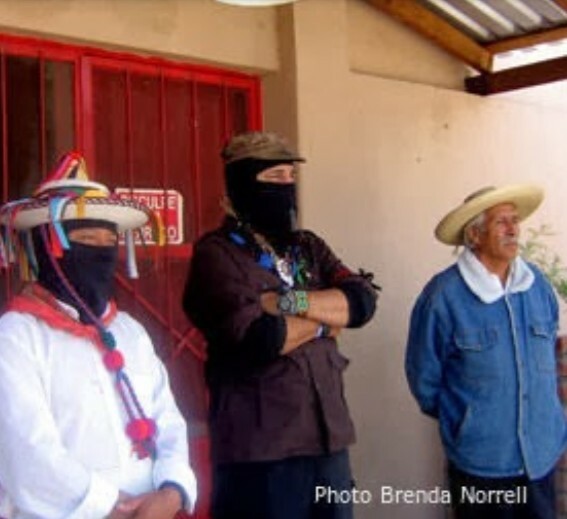 Joanne's tribal rights were removed because she fought for what is right. The Oneida Nation in New York, owners of Indian Country Today, still have time to do what is right. The Oneida Nation can make this moral restitution to Joanne, her mother Maisie, and their family, and pay for her liver transplant. Joanne Shenandoah is a wolf clan member of the Oneida Nation, Haudenosaunee (Six Nations Iroquois) Confederacy. She is the mother of Leah Shenandoah, the wife of Doug George-Kanentiio, the sister of five siblings and the daughter of the late Maisie Shenandoah, Oneida clanmother, and Clifford Shenandoah, an Onondaga chief. She is a composer and performer, Native American Music Award winner, the co-chair of the US Attorney General's Task Force on Preventing Child Abuse on Indian Territory, has acted in films, written music for documentaries, sang at seven Native American US Presidential inagurations, recorded 17 award winning albums, donated thousands of hours to communities and those in need and taken an active part in combating human rights abuses while becoming an advocate for universal peace. She has represented her people on many commissions and before many forums. She sang at the Vatican to honor St. Kateri of the Mohawks and for his Holiness the Dalai Lama. She was awarded an honorary Ph.D. in music from Syracuse University. She has performed at the Parliament of the World's Religions; whenever asked to use her talents she has responded. Joanne contacted a serious abdominal infection this past summer which spread to her liver and resulted in its gradual failure. She has endured 4 long hospital stays and was in an induced coma for two weeks. As a result of the infection her liver is failing and she has been placed on the New York State liver transplant list. She is now subject to infections and pnuemonia while waiting a transplant. The waiting time for a transplant in New York may take a year or more leaving Joanne subject to repeated cycles of illness. The Mayo Clinic in Jacksonville, Florida does transplants at a much higher rate than in New York and is willing to take Joanne, meaning the operation and healing period is greatly reduced and she may return to good health. The Clinic requires the total payment to be made at the time of her acceptance into their program and the cost is comparable with other transplant centers. The key is how soon this can be done. The longer Joanne waits the greater the stress on her physical health. She needs to undergo this procedure as soon as possible. The cost for the transplant, prolonged two month stay and all associated procedures is $450,000.00 which goes directly to the Mayo Clinic. Joanne's family and friends are trying to reach this amount through insurance policies, catastrophic resources provided by the Indian Health Service and donations. Joanne has been a beacon of light and inspiration for Native people everywhere. Her diginity and creativity has inspired and affected e she has met. She has been particulary sensitive to children and women of all backgrounds. A transplant means she can return to performing, to sharing her music and culture around the world. It means she can live. Her family is initiating this effort on behalf of one of North America's most wonderful talents. Their gratitude, and that of Native people everywhere, will be immense. We cannot allow this light to be diminished. 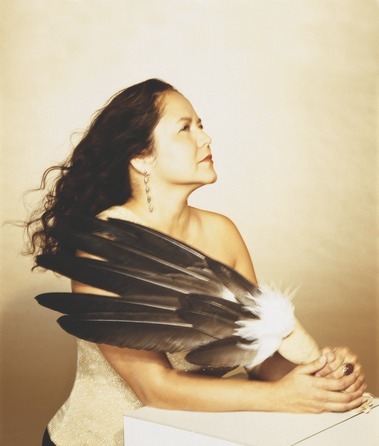 Joanne Shenandoah, Ph.D, is one of America’s most celebrated and critically acclaimed musicians. She is a Grammy Award winner, with over 40 music awards (including a record 13 Native American Music awards) and 17 recordings. She has captured the hearts of audiences all over the world, from North and South America, South Africa, Europe, Australia and Korea, with praise for her work to promote universal peace. She is a board member of the Hiawatha Institute for Indigenous Knowledge www.hiawatha.syr.edu. Joanne and her daughter Leah recorded on the title track “Path to Zero” with Jim Morrison which also included artists, Sting/Bono, Sinead O’Conner, Robert Downey Jr., and others. 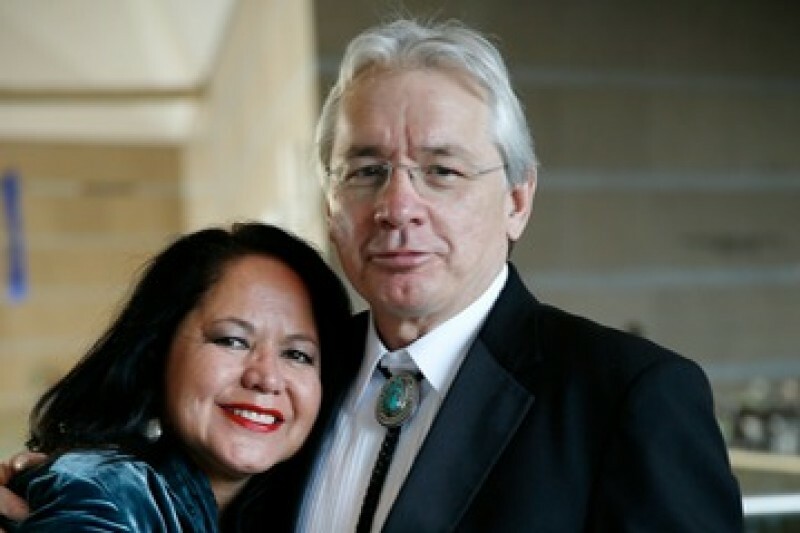 Shenandoah recently performed for His Holiness the Dali Lama and at St. Peter’s at the Vatican in Italy where she performed an original composition for the celebration for the canonization of the first Native American Saint Kateri Tekakwitha both in October 2012. Shenandoah has performed at prestigious events such as The White House, Carnegie Hall, 5 Presidential Inaugurations, The Vatican - St. Peter's Basillica, Madison Square Garden, Bethlehem Fine Arts Center, Palestine, Crystal Bridges Museum, The NMAI-Smithsonian, The Ordway Theater, Hummingbird Centre, Toronto Skydome, The Parliament of the Worlds Religions, (Africa, Spain and Australia) and Woodstock ‘94. “Joanne Shenandoah is one of the finest tributes to Native American Music and Culture “ Neil Young." A beautiful lady and kind sweet soul. I met her at a pow wow in Mount Dora, Florida a couple of years back. She was at a booth and I said you look just like Joan Shenandoah. She just smiled. I told her I was looking for the CD, I need a man to go home with me tonight. She laughed again. I am not much in a position to help with finances, unfortunately.